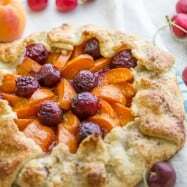 This apricot berry fizz has definitely been the flavor of the week at our house. My husband (Vadim) made this awesome drink. It’s 3-fold and it makes one amazing bubbly beverage: 1. 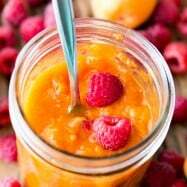 Apricot Concentrate 2. 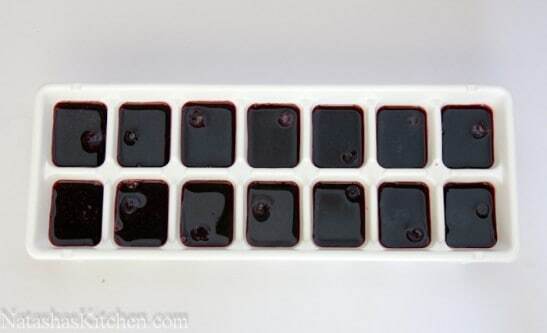 Berry flavored ice cubes and 3. Club Soda. 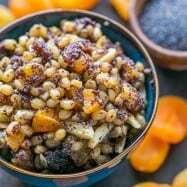 Combining the three makes the most tantalizing apricot punch. 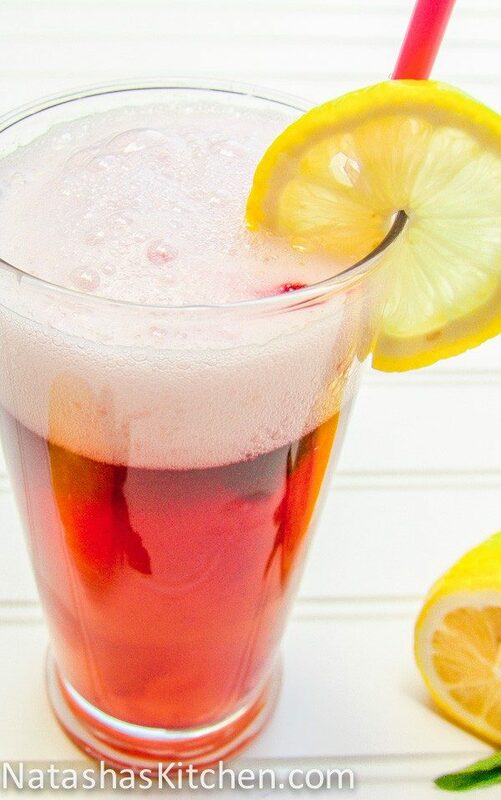 Prep all the ingredients ahead of time and mix it up for a party or drink it all week long. 1. 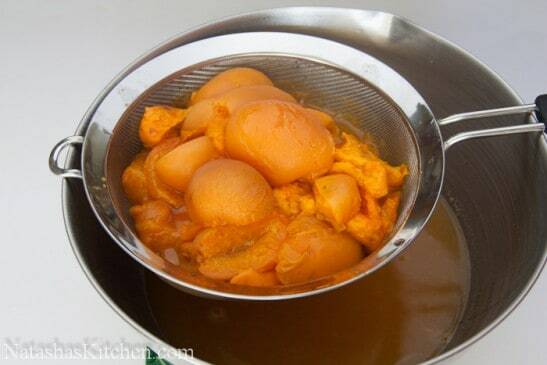 Wash apricots, pit and cut into halves. 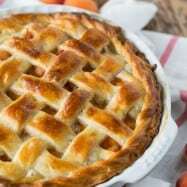 Place apricots in a large pot, fill it with 1 quart of water and bring to a boil. 2. Simmer over low heat until soft but not mushy for around 30 min. 3. 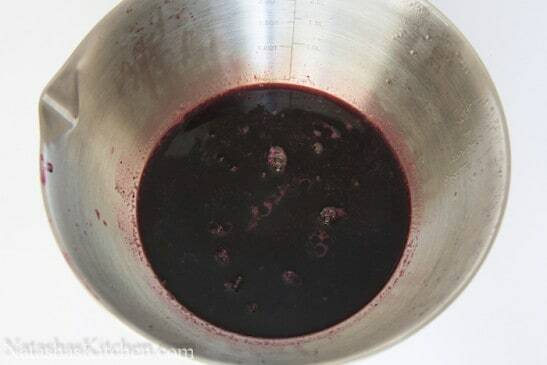 When finished, strain the mixture through cheesecloth or an OXO strainer and add 1/3 cup of sugar to the juice. 1. 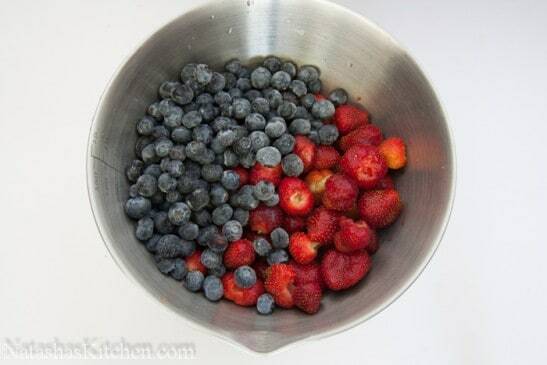 Bring washed strawberries and blueberries, 1 cup water and 1/3 cup of sugar to a simmer in a medium pot. 2. Cook on low heat until soft, stirring occasionally, around 20 min. 3. 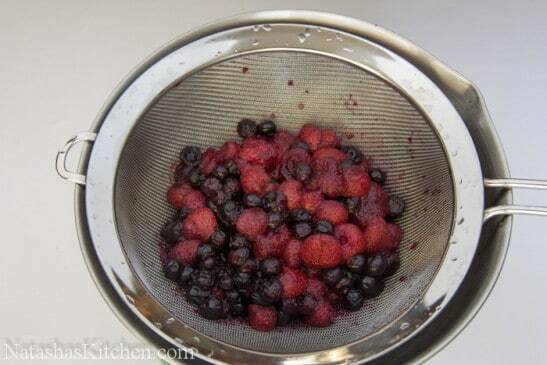 Strain mixture through the cheesecloth or fine mesh strainer (we use and love the OXO strainer and let it cool. 4. 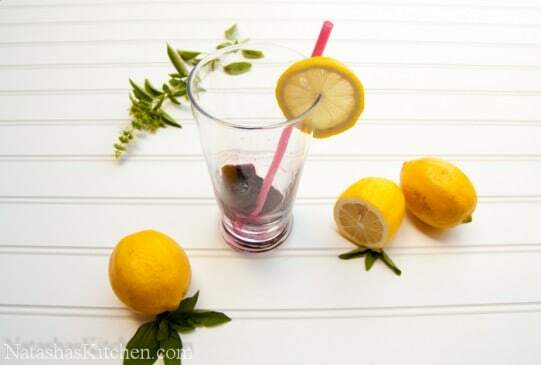 Pour into ice molds and freeze it. 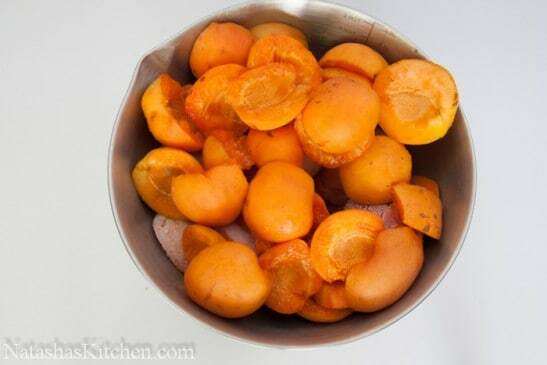 Wash apricots, pit and cut into halves. 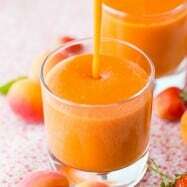 Place apricots in a large pot, fill it with 1 quart of water and bring to a boil. 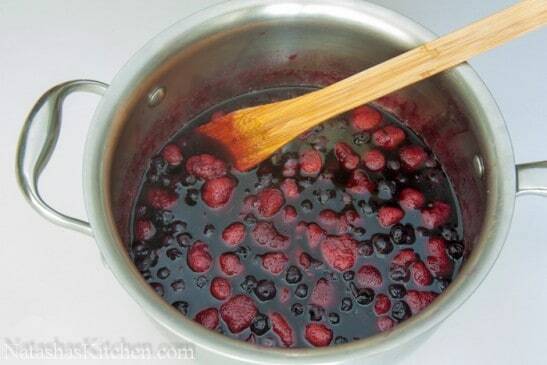 Simmer over low heat until soft but not mushy for around 30 min. 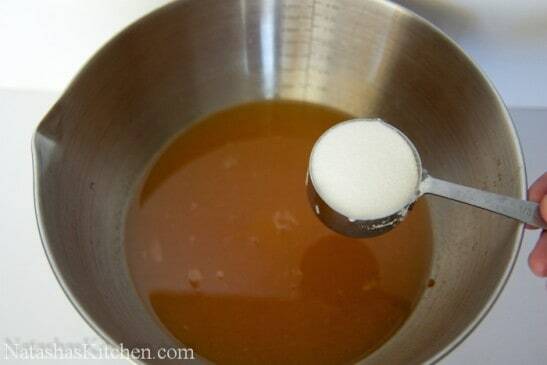 When finished, strain the mixture through cheesecloth or strainer, than add 1/3 cup of sugar to the juice. 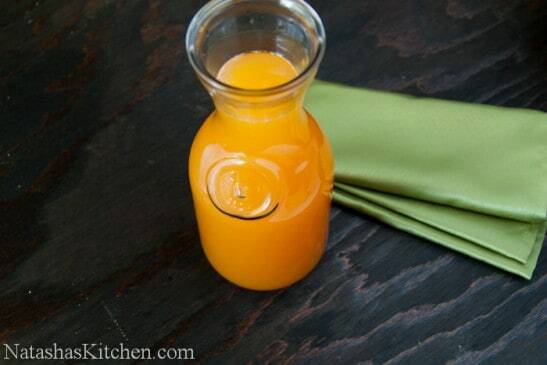 Place juice on the stove and simmer for 5 more minutes. Take it off the stove and let it cool. 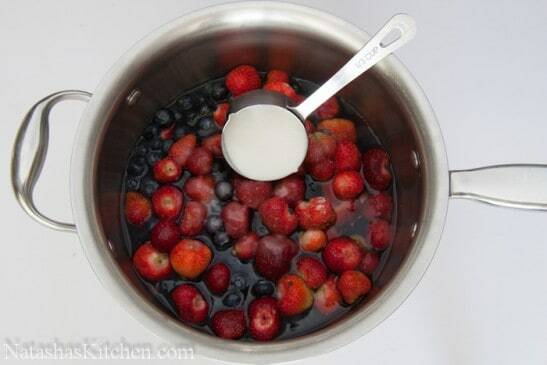 Bring washed strawberries and blueberries, 1 cup water and 1/3 cup of sugar to a simmer in a medium pot. Cook on low heat until soft, stirring occasionally, around 20 min. Strain mixture through the cheesecloth or fine mesh strainer and let it cool. Pour into ice molds and freeze it. Before serving, place 1-2 blueberry/strawberry ice cubes in a cold glass, add some apricot concentrate and at last pour some sparkling mineral water on top. Enjoy. Oh my goodness! 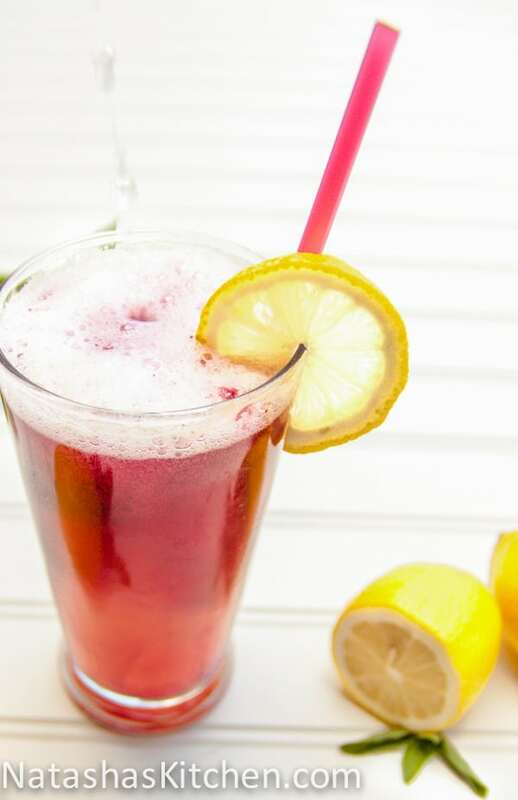 That drink sounds fantastic! 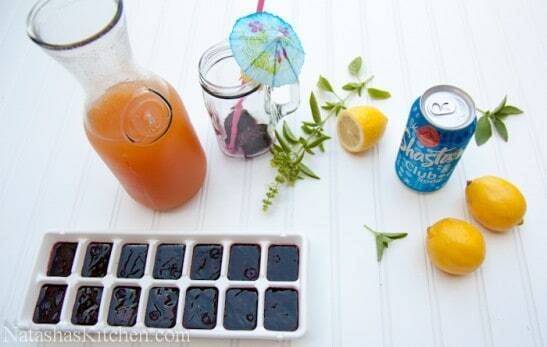 I love the idea of making your own flavored iced cubes. I’m going to have to give it a try! 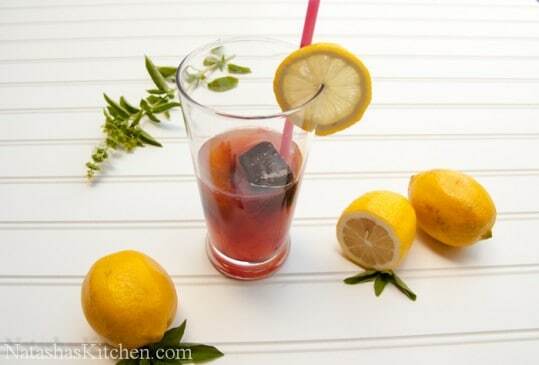 Very interesting tempting refreshing drink. Your imagination is infinite, Vadim!